As for the megadisaster theory in the 3-D summer popcorn flick “San Andreas” (directed by Brad Peyton), it’s pretty grim. As the film opens, a girl is rescued from a new canyon as it opens up beneath her when she is driving a desert mountain road. At Cal Tech, Dr. Lawrence (Paul Giamatti) lectures about the overdue aspect of the San Andreas fault. He then is visiting Hoover Dam (which I visited in December 1997) when it crumbles underneath him with a 7.1 quake. Barely having escaped, he learns that this was a pre-quake for the Really Big One, not just one quake in LA, but a “swarm” of 9.5 quakes that will run from Los Angeles to San Francisco and destroy both cities. Twice the film shows wave-like motion in the ground, and then downtown buildings not just pancake, they topple. In San Francisco, the same will happen (the hero pilot Ray, Dwayne Johnson, is trying to rescue his daughter, Carla Gugino, and traverses the distance, stealing a truck in the process). At one point, the story lands literally at second base in ATT Park – and it’s a good thing the Giants are on the road, because it will be leveled soon. In San Francisco, there will also occur an 80-foot tsunami, which will tear apart the Gold Gate Bridge. All is lost. In an early lecture, Giamatti explains the 9.2 Alaska quake in 1964, as well as the earlier 9.5 in Chile, which created an 85-foot tsunami which destroyed Hilo, Hawaii (which I actually visited in 1980). It is possible for a landslide associated with the Cumbre Vieja volcano in the Canary Islands to create a tsunami which could hit the US East Coast with a 100+ tsunami. The movie occasionally shows extensive media coverage, which probably could not continue from the downtown areas if this really happened. The film trivializes the effect such an event would have on the economy of the whole country. Many people would have to start over with nothing, whatever their station in life before. It sounds horrific, but in a sense this natural disaster is an “equalizer”, unlike Hurricane Katrina. One of the characters says he hasn’t “bothered” to have children because he is too “busy” building the tallest residence in San Francisco. Expert geologists say that there really is no possibility of a San Andreas earthquake in the 9.0+ range, and that kind of tsunami for San Francisco wouldn't happen. But they warn that this is possible further north, from Seattle up to Alaska, and that the supervolcano caldera under Yellowstone can create substantial risk of catastrophe. 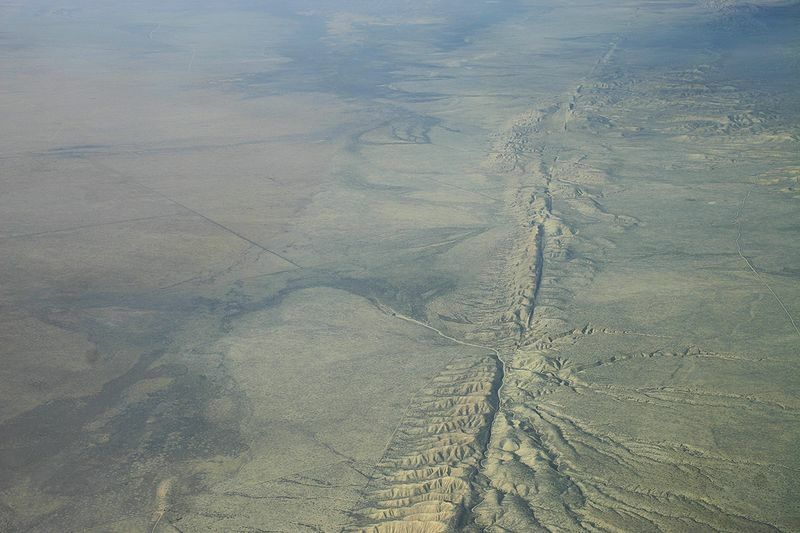 Furthermore, of the the San Andreas created a canyon of is own, there would no longer be friction to sustain an earthquake. The Hoover Dam is not as vulnerable as the movie makes it look (an irony in drought). The official site is here (New Line and Village Roadshow). I saw the film in large auditorium at the Regal Ballston Commons before a small audience Saturday afternoon. A good comparison would be NBC's TV miniseries "10.5", where the continent splits in half. Wikipedia attribution link for iKluft photo of fault under Creative Commons 4.0 Share-Alike license. CNN airs Fareed Zakaria's "Blindsided" How ISIS Shook the World"
Monday, May 11, 2015, CNN presented Fareed Zakaria’s 50-minute documentary film “Blindsided: How ISIS Shook the World”, basic link here. The film has originally been scheduled for April 27 but got put off because of events in Baltimore and other places. 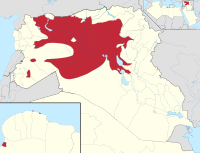 “ISIS” or “ISIL” stands for the Islamic State of Iraq and the Levant, wiki (for a legally unrecognized state) here. “Blindsided” is based in part on the photojournalism of Jurgen Todenhofer filming in territory controlled by ISIS (or ISL)., starting in Mosul. AL Jazeera has a story on his work here . Todenhofer says he met many Americans as well as other Europeans among the soldiers. “Completely brainwashed. I have never seen people like this.” Yet, some Sunni businesses in Mosul say they are better off under ISIS than they were under the Shiite-influenced government of Iraq. Todenhofer says ISIS wants to draw US troops into a land war in the US. He said that, contrary to what is usually reported, he saw a lot of American recruits as well as European, and this is disturbing. "They were having the time of their lives." Zakari says you can draw a line in history from 9/11. The documentary presents Abu Bakr A-Baghdadi, regarded as the founder and leader of ISIS. He was in American custody at Camp Bucca during the Iraq war. But he was seen as a “man who could be trusted”. A military tribunal recommended his release in 2004, during Bush’s first term. Then Zakaria himself explains how ISIS turned western media on its own head, producing gang-style violent videos engineered to go viral and recruit the most psychologically unstable (often, but not always, poor)young Muslim men in the world (including western countries) to join them. Zakaria presents the story of Maajid Nawaz, who grew up in Britain, had parents of Pakastani origin, and has turned away from radicalism to run for the British Parliament. But he said, when younger, that he had no sympathy for the civilian victims of 9/11 because western countries attack so many Muslim civilians. One example was in Bosnia. In time, he realized some of the enemies were not from the west (like Putin’s Russia in Chechnya). He was also repelled by the 7/7 attack in Britain. Thomas Friedman, from the New York Times, wrote that ISIS offers a disenchanted young Muislim a “wife, a salary, a chance to lord it over someone” and a place to belong. Is ISIS a real threat in the US? The two perpetrators in Garland TX were mainly inspired. ISIS, Zakaria says, is about religion but it is very much about power, somewhat like the Stalinist Soviet Union. It hires a secular force from the former Saddam Hussein regime, and exploits existing religious conflicts between Sunni and Shiites. Tonight (Tuesday, May 5, 2015). CNN aired a special documentary “Murder at the Marathon”, about the Boston Marathon bombings on April 15, 2015. CNN does not seem to have a separate page for this documentary, but rather continuing coverage of the sentencing phase for Dzhokhar Tsarnaev, link here. The details of that week have been well reported. But an important part of the documentary was to fathom why the brothers went toward violence, and why Jahar came under such influence from Tamerlan. Both brothers had immigrated under asylum. Both were talented. But Tamerlan became disenchanted when he was not allowed to continue his boxing career because he wasn’t a US citizen, although his own impetuousness contributed to his situation. Tamerlan had other talents, even classical music, all of which he gave up when he reverted to radical Islam. Jahar had even become a citizen, learned perfect English, and was popular, although at some point he started to go downhill, along with pot smoking. In the boat, Jahar wrote a “manifesto” (a bad word, it seems), or "screed", which gives in to the must crude idea of group religious revenge, that was common in ancient times. This was “religious” but it wasn’t about permissive western lifestyles or about inequality (as radical Left wing radicalism is). It is particularly shocking that it seems that the pressure cooker weapons may have been placed deliberately near children. A lot of made of Jahar’s behavior during and after the bombings as on videos. The Boston Globe has an analysis of Jahar’s tweets here. The lack of “love” remark right after the event sounds particularly provocative to me. I don’t get into details about the victims. In my mind, the experience is comparable to being drafted and then maimed in war, like Vietnam, and then having to deal with bearing the loss of other people’s wrongdoing, having someone have a relationship with “you” after this. My own word is “casualty”. There is no way to make this all right. CNN had intended to air the film “Blindsided” tonight, about the history of ISIS, but put if off another week, until May 11, to air an AC360 “Police Under Fire” town hall based on the Baltimore situation. But on CNN Tonight, Don Lemon aired “Free Speech v. Common Sense” to analyze the attempted attack in Garland, Texas on a “cartoon drawing contest” sponsored by the “American Freedom Defense Initiative”, headed by Pamela Geller. Elton Simpson and Nadir Soofi were shot by Garland police. The FBI is examining their apartment in Phoenix and overseas ties, but believes they were probably “lone wolves” inspired by ISIS ideology online but not formally trained. CNN’s latest online story is here. ISIS has claimed responsibility for the foiled attack, with a bellicose statement, as reported in many media outlets, here. Geller’s activity certainly reminds one of Molly Norris, who had tried to encourage a cartoon-drawing day in 2010 and whom the FBI encouraged to go into hiding. The group has been called an anti-Muslim “hate group” by the Southern Poverty Law Center. Some have discussed offensive ads taken out by the group in various public places like the subways. Don Lemon had three panel guests on the program, Alam Dershowitz, Amani Al-Khatehtbeh, and Zia Sheikh. Dershowitz said that hate speech is constitutionally protected, and as a matter of law, is not considered “incitement” to violence, unless it directly urges people to act. Dershowitz also said that among major religions, only Islam has a subgroup that is radical enough to encourage violence merely as to suppress speech. But there would then be a corresponding question as to whether foreign speech trying to incite “lone wolves” crosses the legal line and is no longer protected by the First Amendment. Dershowitz also took exception to a style of thinking that blames speakers for making others feel offended and then bringing violence back upon themselves or persons connected to them (family). Again, the combative ideology of radical Islam, not tolerating certain speech or images in public against it, comports more with a group mindset common in the past, where tribes fought each other based on religious affiliation, and took group revenge, rather than directly an objection to western individualism (was we used to see with violent groups on either the radical left or radical right). This really is war over religion, which sounds absurd to many western people, even those who have no trouble reconciling faith with modern physics. Hate speech may be constitutionally protected, but terms of service policies in social media typically ban it. Even self-publishing companies for books do “content review” of books in part to ensure they are not hate speech. Vox Media has an article by Max Fisher explaining that the gathering was a "hate" event, here. There is more from CNN on the level of participation from anyone overseas from ISIS here. There are also accounts that the public is lucky that the policeman had not left yet and was able to hit both suspects with his handgun despite their body armor.